The three pagodas stand on the hill which is 100 feet high and half a mile away from the east of the palace site. King Min Saw Oho, the tenth king of Min Saw Mon dynasty, built the pagoda in AD 1515. Three Nipuzar pagodas are: lower Nipuzar, middle Nipuzar and upper Nipuzar. The words “Nipuzar” was derived from Napuza in Pali. Napuza means the place worshipped by the people. 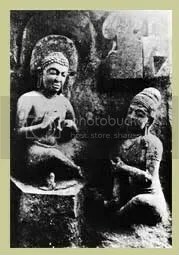 The nat figures worshipped by Brahmans called Ponenaw who lived in Mraukoo in the past, can be found near Nipuzar pagoda. Nowadays, such figures of Nat were kept in Mraukoo archaeological museum. The upper Nipuzar and the middle Nipuzar have been damaged and covered with creepers. Only the lower Nipuzar pagoda has the easy accessibility. 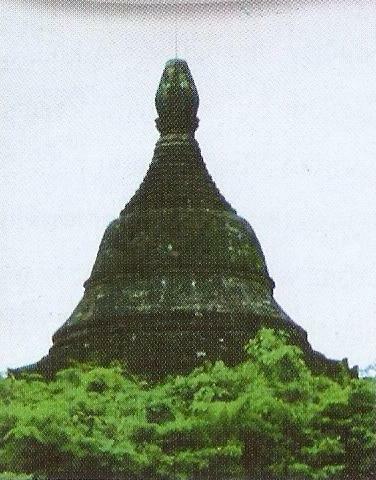 That pagoda is also damaging at the upper part of the inverted alms bowl. Nipuzar is a stone pagoda and has terraces. The golden balls and the mouldings remaining at uppter part of the inverted alms bowl, still can be seen until now. The stone Buddha image which is 10 feet high, is near the pagoda.